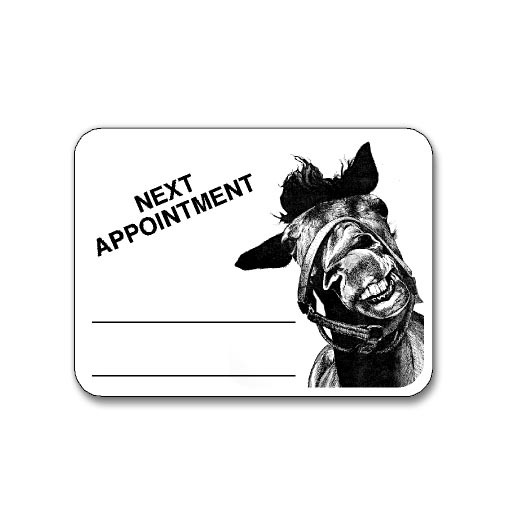 Some farriers find that it is helpful when customers book appointments weeks in advance. Grouping appointments can reduce the amount of time spent traveling to each farm. Using these reminder stickers can also help reduce missed appointments.